This Saturday night, Jan. 5, 2019, in Jones Hall, is a concert with our great Grammy winning Houston Symphony Orchestra that my wife and I will be blessed to be attending. My fetching wife is especially looking forward to this concert as her second favorite piece of all, Rhapsody in Blue, by the legendary American pianist/composer, George Gershwin, will be featured. Her favorite piece of all is Bolero by Maurice Ravel. I also love this beautiful melodic piece of music. This concert opens with Ravel's piano concerto in G Major. This concert will have guest conductor, Jeffrey Kahane, leading the Houston Symphony Orchestra, and Jeffrey will also be the soloist in the Ravel Concerto. From the Houston Symphony Orchestra website: "Saucy as the city streets, majestic as a city skyline, Rhapsody in Blue’s iconic opening and unforgettable melodies make it one of the most enduringly popular works in all of classical music. Hear the original jazz band version, alongside Ravel’s bluesy, dreamy Concerto in G as the phenomenal Jeffrey Kahane plays and conducts this program of symphonic gems with a French twist and a Jazz Age flair." As always when Sheralyn and I go to a Houston Symphony Orchestra concert, I like to share with you a sample of what we will be hearing in Houston's Jones Hall. 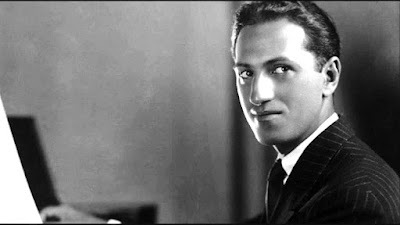 Also, I have this special video, that I think you will enjoy, of Israeli virtuoso pianist/teacher, Astrith Baltsan, explaining Gershwin as you have never heard before. So, please turn up the volume and enjoy this great classic piece by George Gershwin.